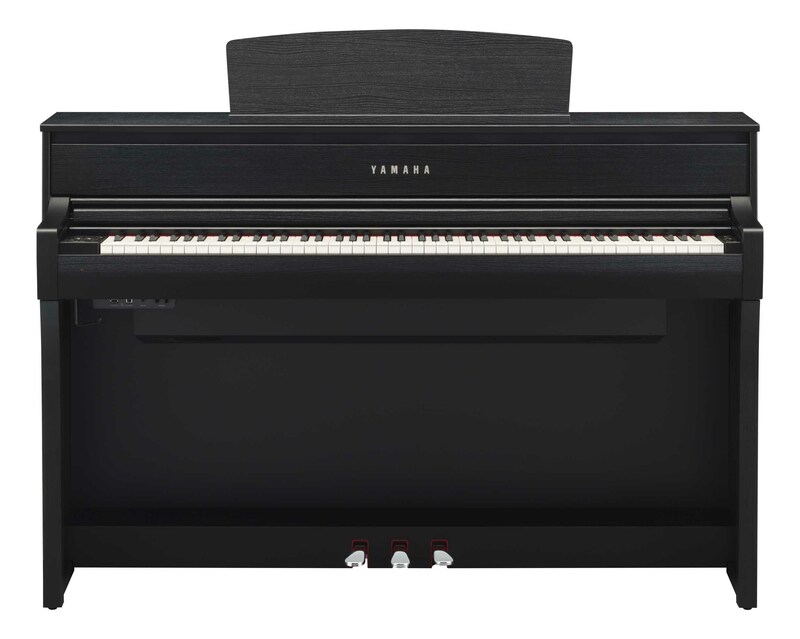 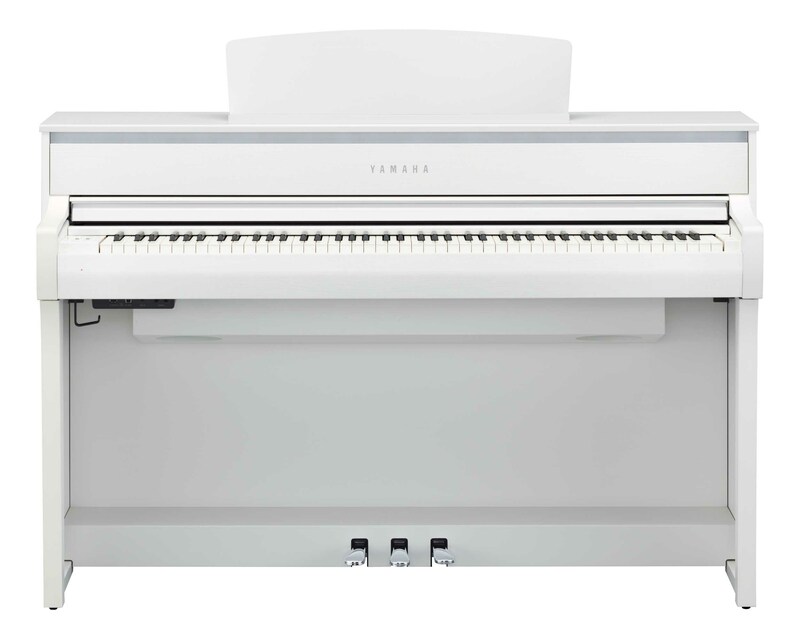 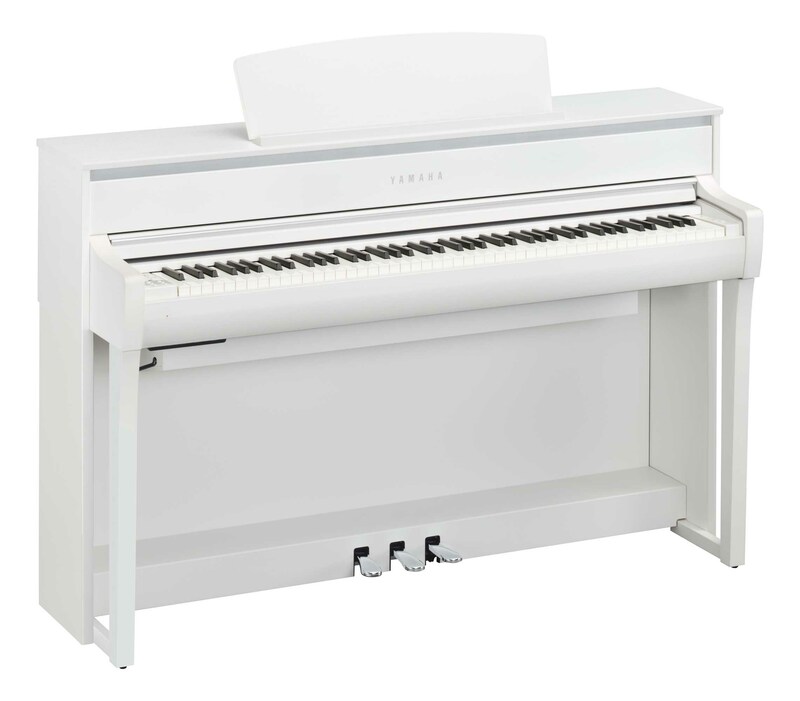 The New Yamaha Clavinova CLP-675 Clavinova Digital Piano offers the remarkable beauty of a concert instrument in a home and practise room friendly size for a more personal playing experience in an intimate setting. 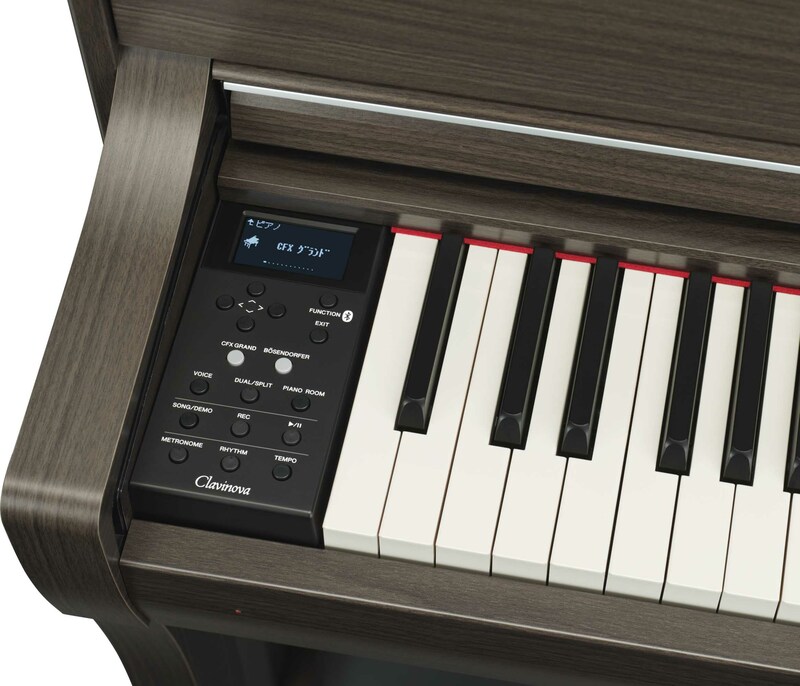 Featuring newly developed additions to the CLP family, the latest Clavinova models are better than ever before. The newly introduced GrandTouch keys offer increased responsiveness and more generous dynamic range than on previous models. 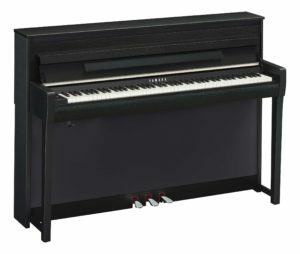 The natural, balanced response of an acoustic is matched on the CLP with an accurate response captured from the tip to the back of each key. The black keys are finished in ebony, with synthetic ivory tops reproducing the tactile playing surface of authentic ivory keys that were a staple in older acoustic pianos. 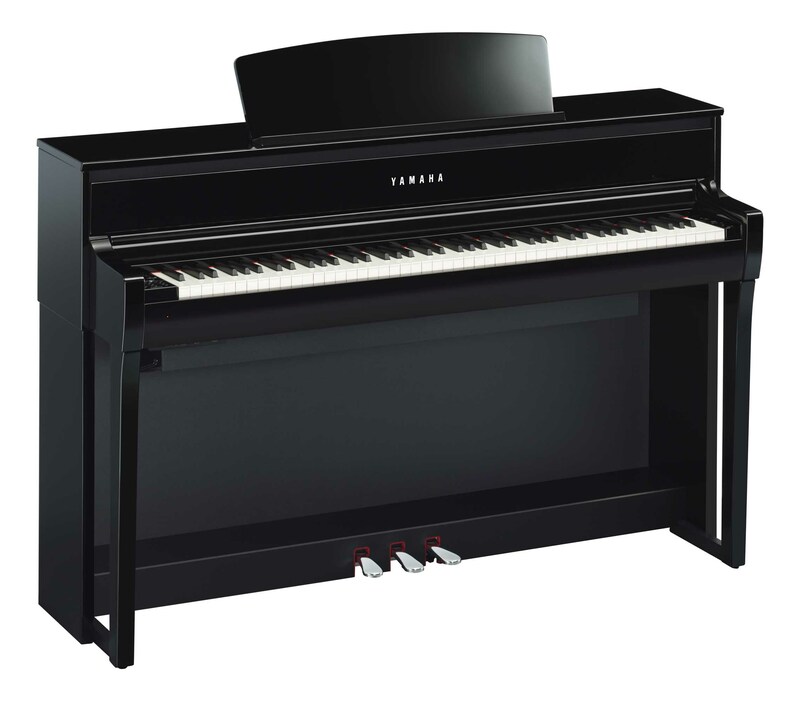 Whether you’re performing for 5 minutes or 5 hours, the absorbent material retains a luxurious feel under your fingertips. 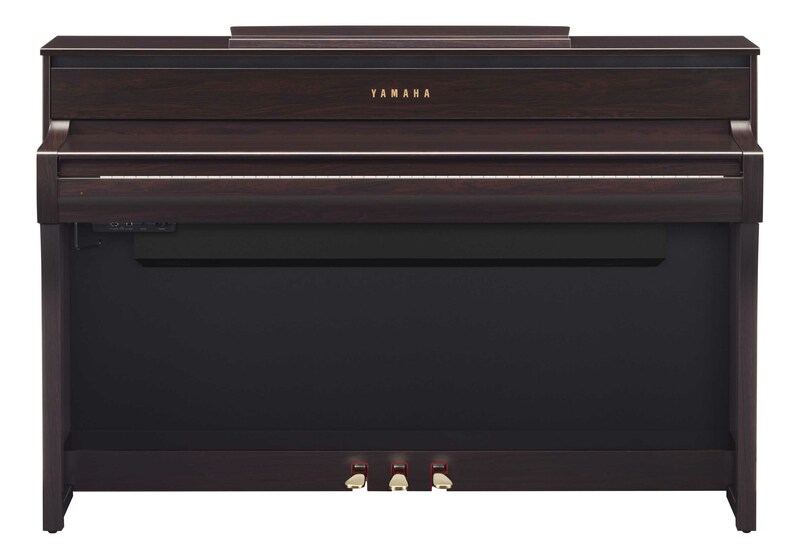 The CLP-675 is equipped with the powerful tone of flagship Yamaha concert grand, the CFX, and the wondrous beauty of the Bósendorfer Imperial to give your performances a majestic air. Thanks to their tireless efforts to reproduce the inner workings and subtle nuances than generate a grand piano’s timbre, Yamaha have succeeded in capturing the resonant characteristics to perfection. 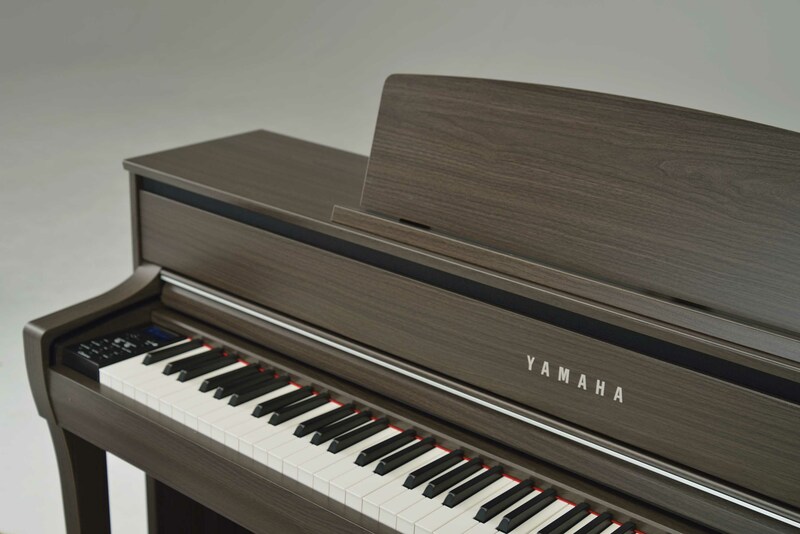 Enhanced Virtual Resonance Modelling (VRM) ensures the piano body resonates in the same way as an acoustic piano, resulting in a rich reverberation that produces an enveloping sound. 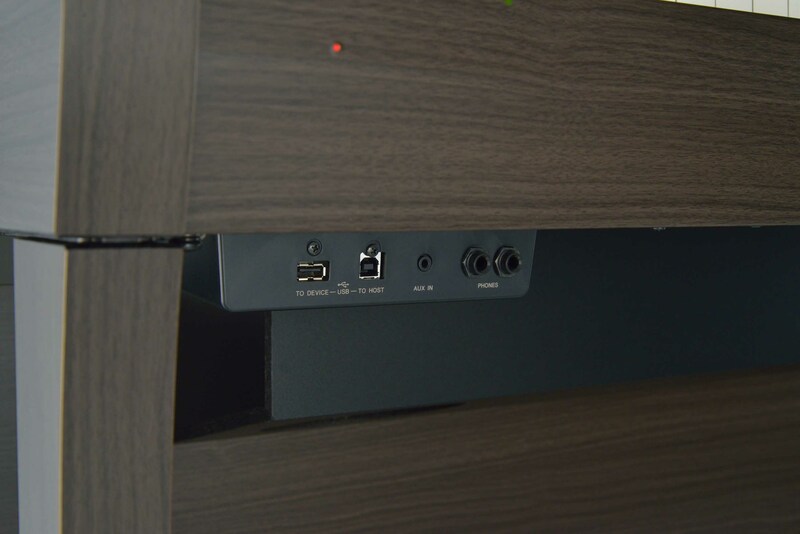 The easy to use LCD display allows you to keep on track of everything with regard to connected devices, track recording, voice selection, etc. 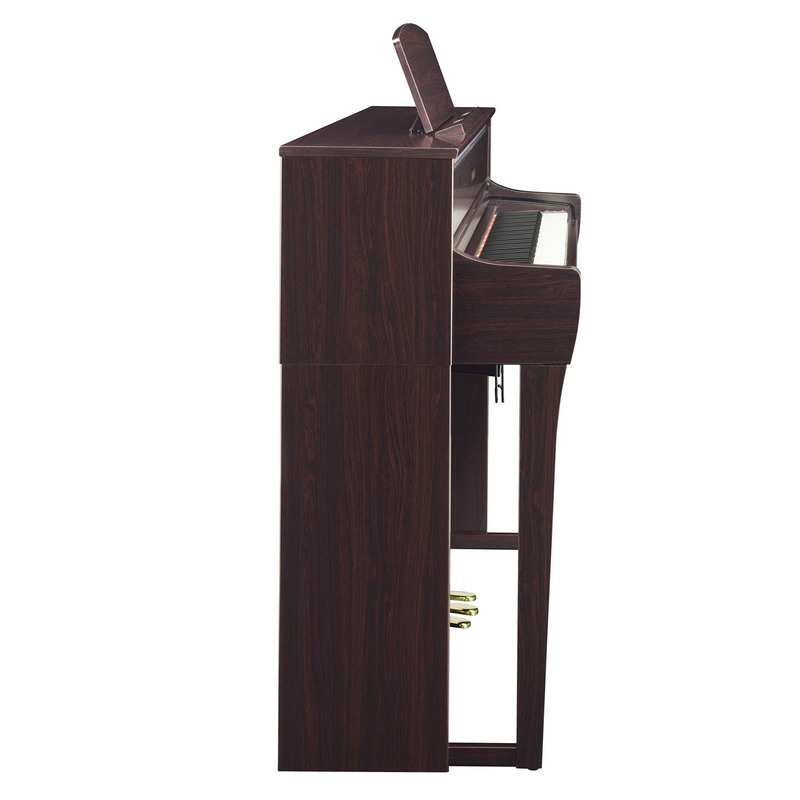 At your disposal, there are 19 voice demo songs, 50 piano songs, 20 rhythm tracks, and a whopping 303 lesson songs. 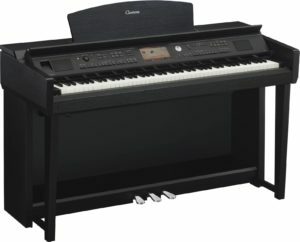 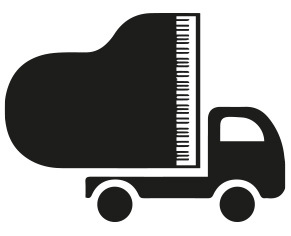 Thanks to the internal flash memory, 16-track recording in available, with USB Audio Recording of WAV files with 44.1kHz sample rate at 16-bit resolution in stereo, perfect for laying down your masterpieces, or simply keeping track of and identifying any areas for improvement with regard to your technique. 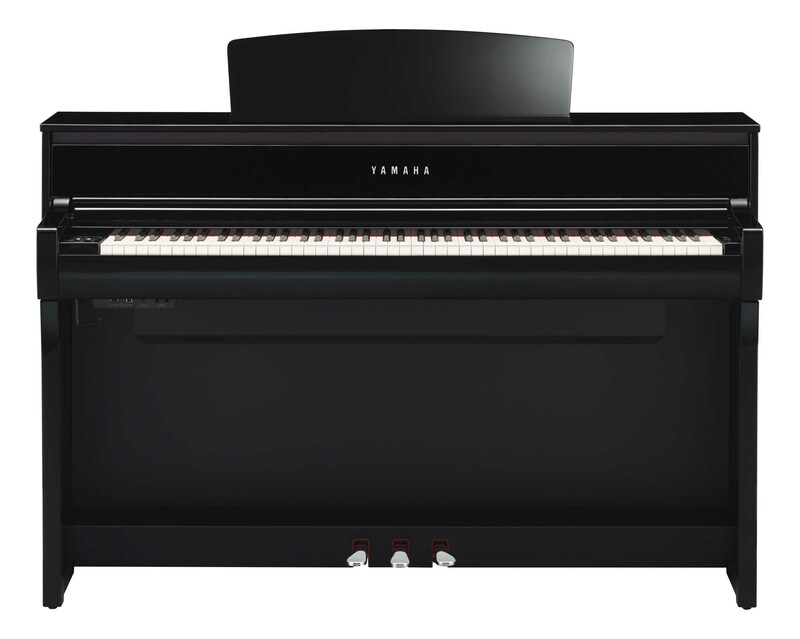 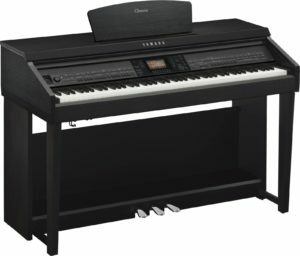 The Yamaha CLP-675 Clavinova Digital Piano is perfect for those who are looking for a grand piano playing experience in the comfort of their own home, without the footprint of an acoustic grand piano. 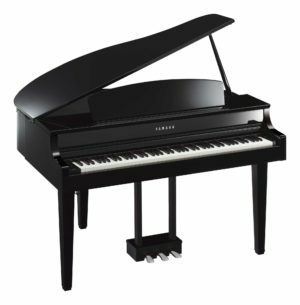 Whether you’re a student honing their skills or a more experienced pianist who demands the best, you’ll fall in love with the new CLP-675.